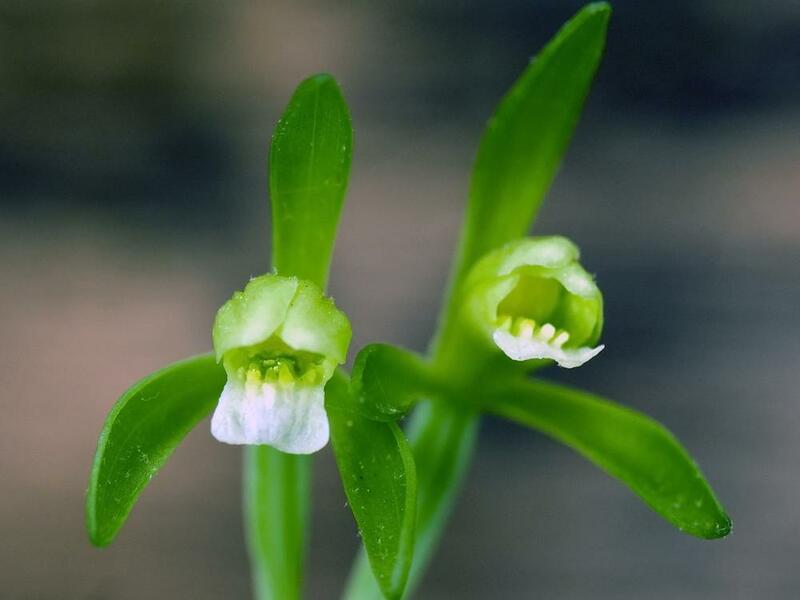 Isotria is a genus of terrestrial orchids containing 2 species, Isotria medeoloides and Isotria verticillata, which are both found in North America, throughout the East Coast and parts of the central United States. 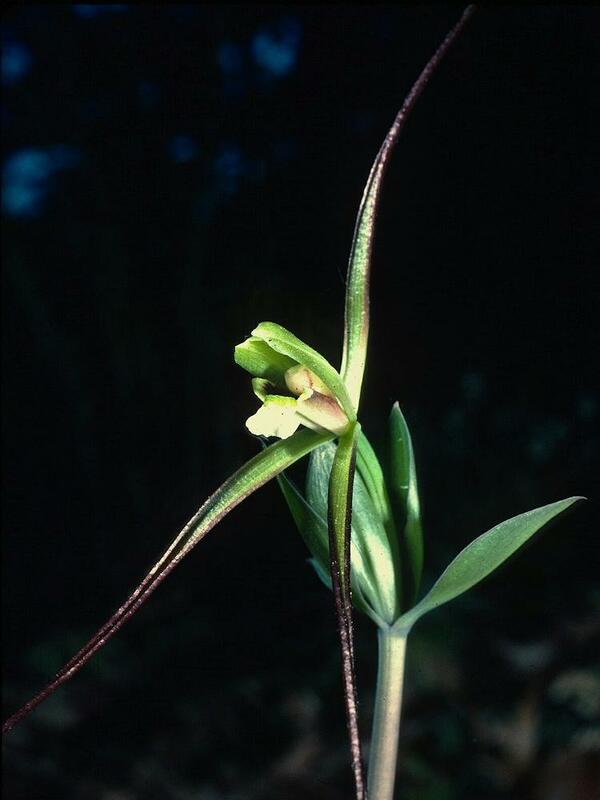 These orchids produce several elliptic-ovate leaves, usually 5, that form a ring around the stem just below the flower, giving it a whorled appearance. 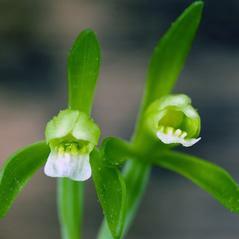 When flowering in the spring and early summer, they produce one single resupinate flower, yellowish green, white or purple in color, with a 3-lobed labellum. 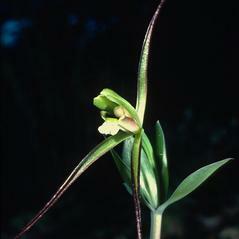 Individual plants sometimes produce two or three flowers. Both species are found in dry to mesic forests and woodlands.